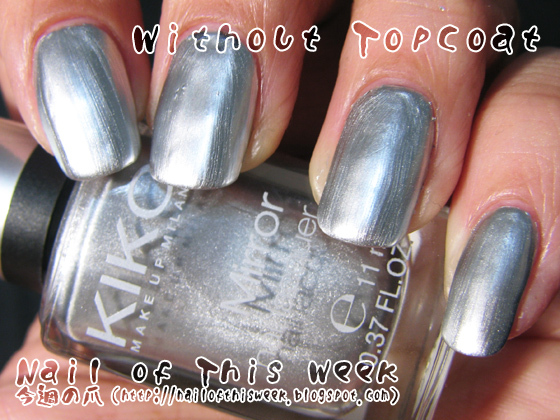 Swatch: Another newbie from KIKO; Mirrors : Nail of This Week. Hi girls! 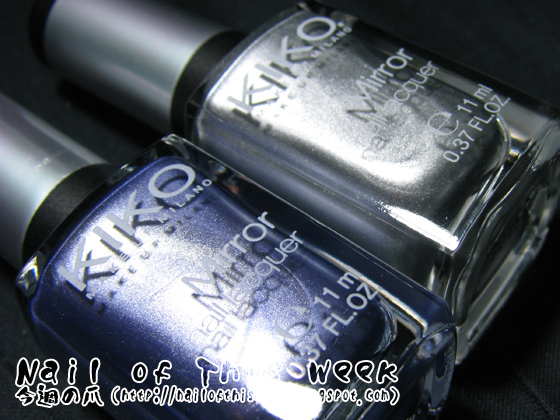 Yesterday I’ve showed you my pickups from Sugar Mat, one of newbies from KIKO; now today is for ANOTHER KIKO newbie named “Mirror”. 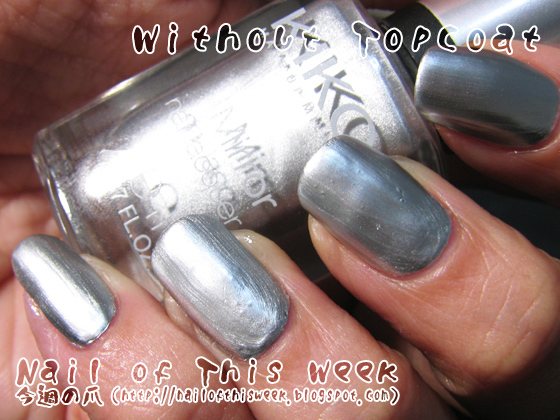 Name tells what they are, it’s metallic polish with smooth mirror-ish finish! It’s not a very new trend (i.g. China Glaze’s Khrome for 2009 A/W), but I think good metallic polishes are still needed; to see crazy price on eBay for China Glaze’s Khromes for example. 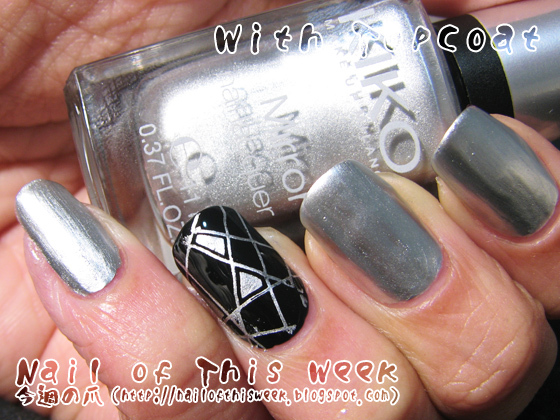 Overall, from these two polishes, at least I can say these are great one-coater metallics and therefore VERY nice stamping polish. 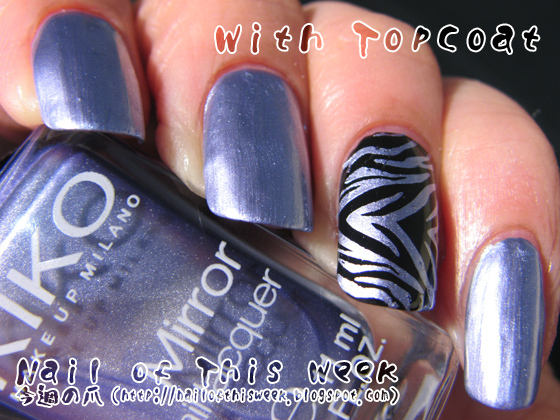 If you missed China Glaze Khrome (as me), this Mirror series will be perfect substitute with affordable price (5euro each). Formula was pretty watery/runny though, which lead tricky application. Brushstroke hides by drying and also it dries up pretty fast, but…with runny + fast drying formula it’s not easy to prepare smooth “mirror-like” surface. Oh yes oh yes you should!! 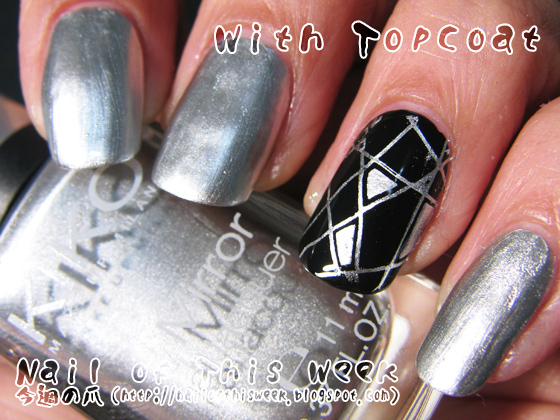 They're not really my type of shades to wear alone but they'll definitely do good for nail art. 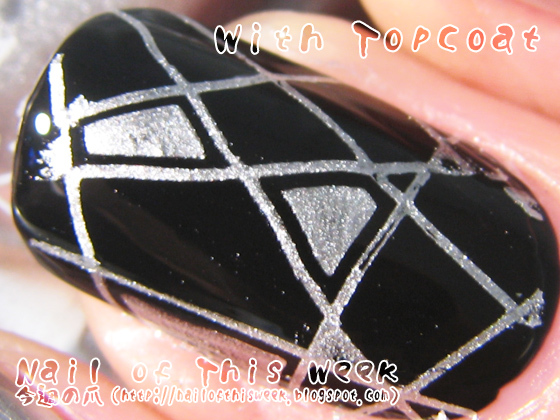 I think I'll never wear them alone, but this polishes are just great for stamping or nail art!